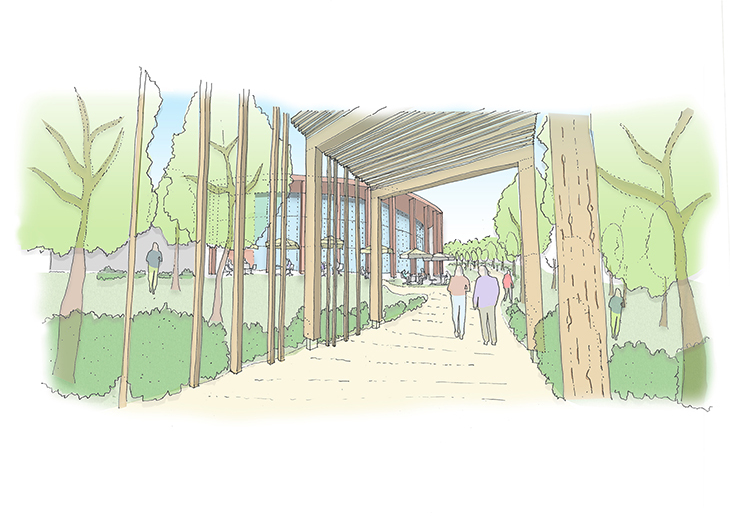 Following on from Phase 1 and 2 Extra Care commissioned Nicol Thomas to development proposals for Phase 3 which is located toward the south of the existing Shenley Wood Retirement Village. 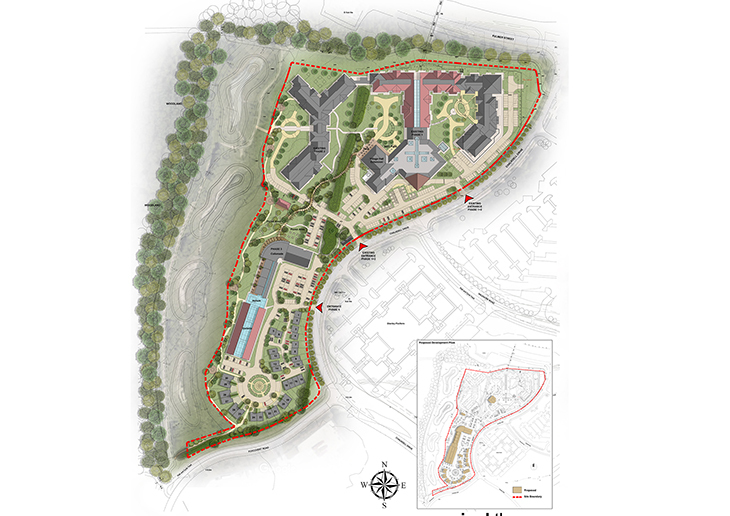 The proposals were to provide additional accommodation in the form of a new apartment building and 30 cottages, whilst providing alternative communal facilities for the whole village to enjoy. 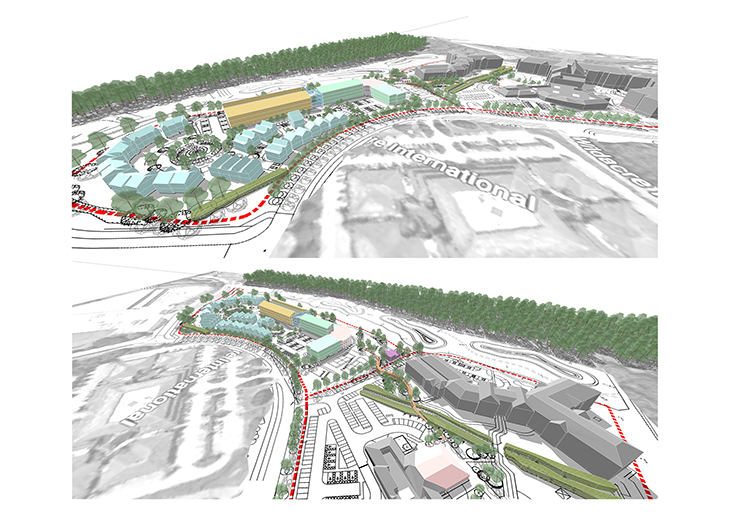 This was critical in the design process to create a proposal that encouraged users to use all aspects of the site providing a variety of communal uses and key landscape trails improving permeability through the wider site. 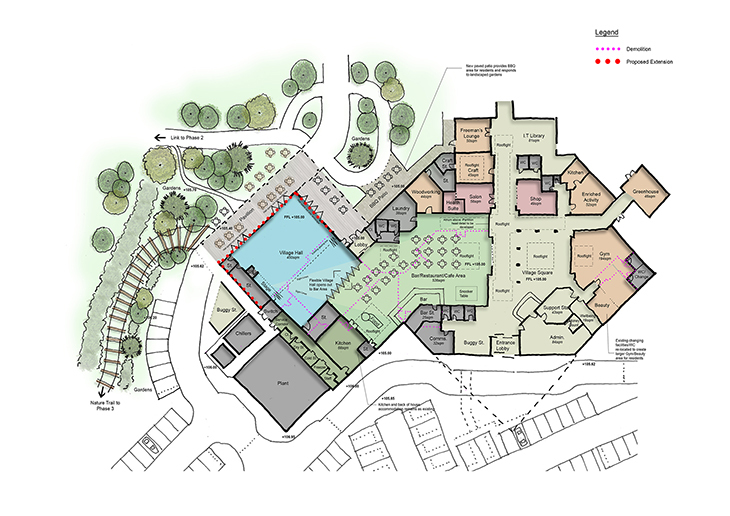 Also included was the extension works to the existing village centre within Phase 1 and 2 to accommodate the increased resident numbers proposed within Phase 3. 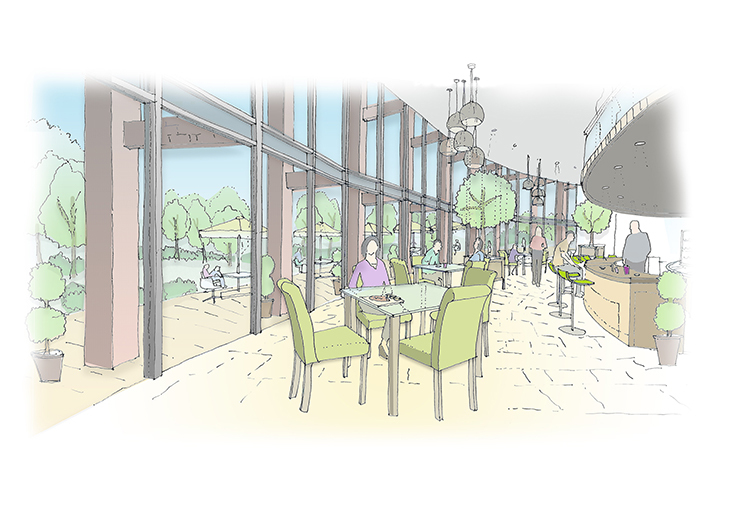 To encourage permeability through the site the introduction of an attractive landscape nature trail and a garden café within Phase 3 creates a key destination located centrally to the site as a focal point for residents to integrate and relax whilst enjoying the extensive views out the woodlands toward the east.